One of the most frustrating parts of going to the range is getting a “brass burn.” This is caused when an ejected casing ricochets onto you or a neighbor’s skin, and causes a skin burn. 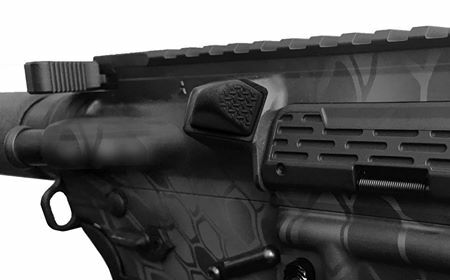 This can be dangerous if the shooter loses bearing, and points his or her weapon in an unsafe direction. Most guys in my old infantry unit (me included) had a nice 2- to 3-inch scar on our neck as proof of this issue. The Deflector Brake has provided a solution to this painful problem. If you fire a 30-round magazine from your typical AR-style weapon, your spent brass casings are going to go in 30 different directions. The Deflector Brake makes the patterns more predictable, and angles them forward and away. 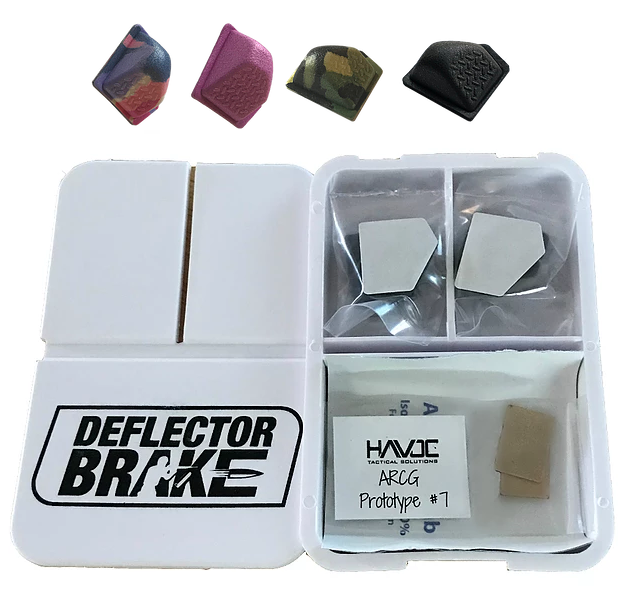 The product itself is a small pad with a temporary adhesive that goes on the brass deflector right behind the ejection port. It will not only come off without damaging custom paint jobs, but it will protect that investment. This is ideal for instances where you have multiple shooters standing next to each other. This will also help minimize the chances of a brass casing bouncing off a range booth wall and landing back in your shirt. 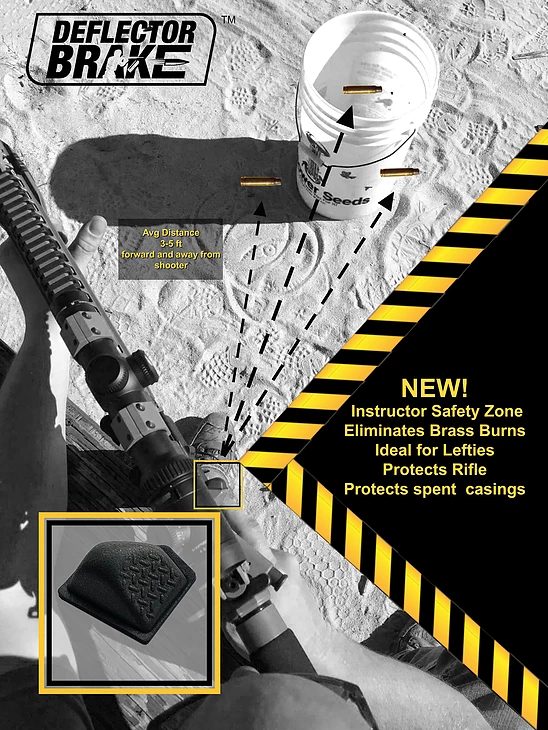 The manufacturer says the pad will last well over a thousand rounds and the included four pads should last the shooter over a year. From opening the package to being completed, installation took me about three minutes total. They do recommend letting the pad sit for 24 hours before firing. However, you can change them out on the range if needed. Just plan ahead and enjoy the effects of not having to get yelled at by a range neighbor for burning them with your brass.